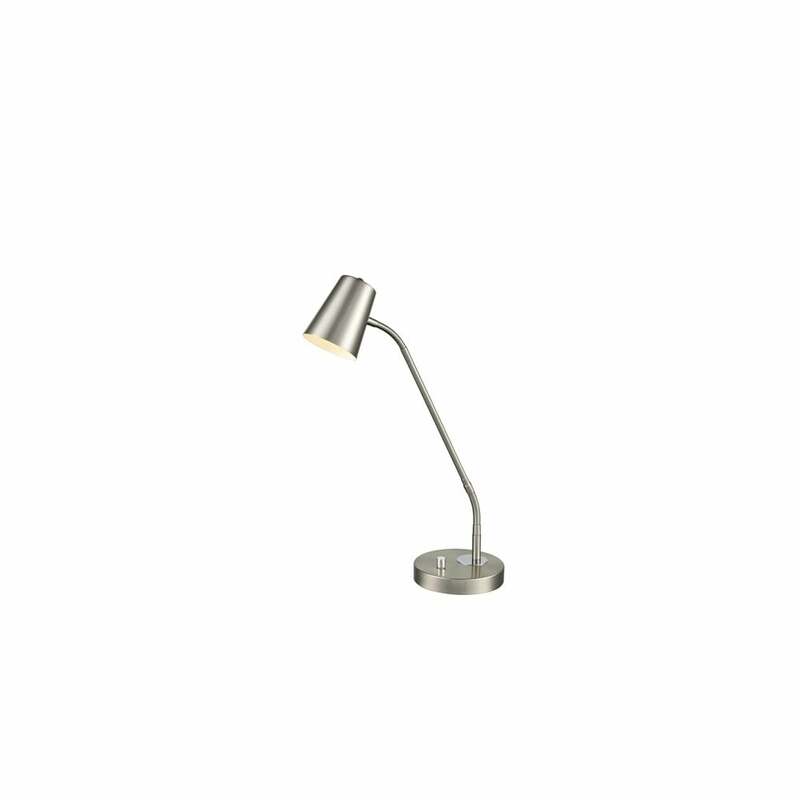 Franklite single light desk lamp features a circular base with a flexible arm holding a cone shaped shade, all in satin nickel finish and is operated by a dimmer switch located on the base. The product code is TL507. This stylish yet practical design has a fully adjustable lamp head and double flex joint on the stem which will allow you to direct light where required. The satin nickel finish adds a classic look making this a perfect choice for both modern or contemporary decors within your home. Operated by a dimmer switch located on the base. Also available in bronze or matt gold finish with a matching floor lamp, which can be viewed on our website.